How effective is Tae Kwon Do in MMA? 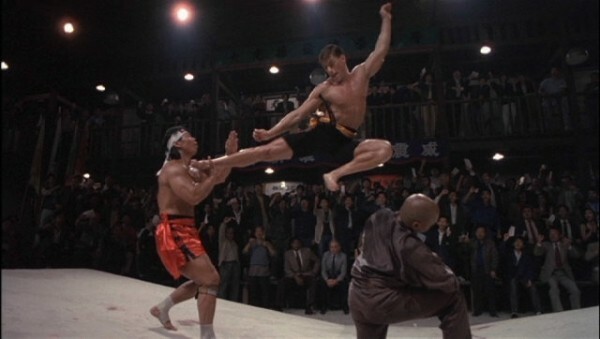 Bolo Yeung (left) and Jean-Claude Van Damme (mid-air) battle in the legendary martial arts movie "Bloodsport". Tae Kwon Do (Taekwondo) means “the art of the foot and fist.” It is a martial art from Korea, and blends several martial arts from other Asian cultures – Korean, Chinese and Japanese. But it was the Korean people who molded Tae Kwon Do for their purposes when they used it during war. Established and refined in the 1950s and 1960s, the South Korean military used TKD as a training method for men in unarmed combat. They focused on the development of strength, speed, survival skills and self-defense. Tae Kwon Do training generally includes blocks, punches, open-handed strikes, kicks, take-downs, sweeps and throws. Although, TKD touches on all these aspects of training, the main focus is on kicks. 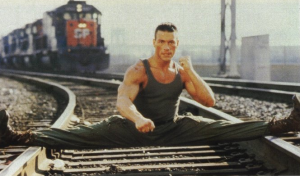 Doing the splits on train tracks may or may not help your MMA game. 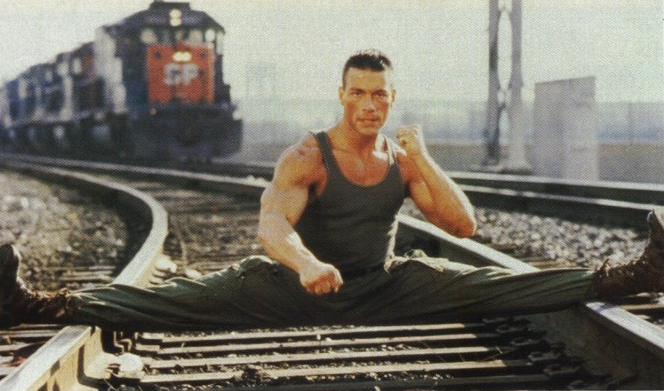 JCVD getting his stretch on. Training consists of roughly 80% kick development. The rationale is the leg is the longest and strongest weapon a martial artist has and should be used to keep an opponent at a distance, especially if he brandishes a weapon. Anyone who trains in Tae Kwon Do will definitely learn how to execute powerful kicks. In 1989, the South Korean government stated roughly 70 million practitioners in 190 countries train in Tae Kwon Do, which makes this style of martial arts the world’s most popular. In fact, the art became so popular that in 2000, Tae Kwon Do gyeorugi, which is a type of sparring , became an official medal event in the Olympic games in Sydney. Today, several MMA fighters, such as Anthony Pettis, Stephan Bonnar, Ben Henderson and others not only started their martial arts training in Tae Kwon Do, but still use this knowledge in their preparation for MMA fights. If you’ve ever watched any of Jean-Claude Van Damme’s movies, you may have hated the acting, the storylines or even how the fight scenes were choreographed, but what was a sight to behold was the flexibility of Van Damme. In almost every one of his movies, he made famous spectacular high kicks and those full splits. Tae Kwon Do is widely known for the flexibility of its practitioners. Flexibility is not only a great benefit for kicking but for wrestling and Jiu-jitsu. Although many of the kicks (Jumping Spinning Back or the Spin Hook) used in TKD would be considered fancy or impractical for MMA, because a fighter takes a risk of being caught and taken to the mat with such “blinding” moves, other techniques such as round house kick, front kick, side kick, axe-kick, or back kick definitely have been used during mixed martial arts fights and are effective. Anthony Pettis (mid-air) took his Taekwondo kicks to new heights by performing his "Showtime Kick" against Ben Henderson in the final WEC fight ever. Also, if you’re a fighter like Tae Kwon Do black belt and UFC middleweight champion Anderson Silva, and you’re secure and confident when it comes to the speed, power and accuracy of your kicks, then throwing a spinning back kick or a wheel kick can catch your opponent off guard. Tae Kwon Do kicks are designed to knock out an opponent. Today, if a person wants to train to become an MMA fighter, he more than likely will not start out learning Tae Kwon Do. Most fighters training for MMA focus on Muay Thai, wrestling, boxing, and Jiu-jitsu. However, if you are already skilled in Tae Kwon Do there is no reason why you can’t use that knowledge and experience. Just like with any other form of martial arts, a person who trains in TKD can utilize these skills because physically they have already developed strength, speed, balance, flexibility, and stamina. 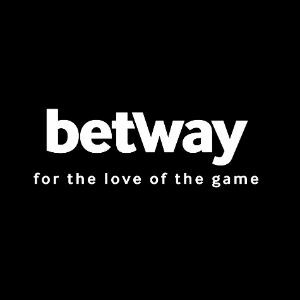 Now all they have to do is apply what works to MMA and discard the rest. Two title fights headline Hard Rock MMA 40 this Saturday in Shepherdsville, Ky.